The regime's statement comes after the allies began the Key Resolve simulated military exercise. 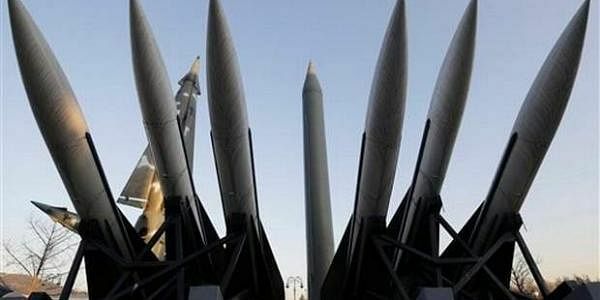 SEOUL: North Korea on Tuesday has threatened to launch ultra-precision strikes in response to the military exercises being jointly carried out by South Korea and the US. If the allies seek to infringe on its sovereignty, Pyongyang's "army will launch merciless ultra-precision strikes from ground, air, sea and underwater", North Korean state news agency KCNA warned in a statement. Pyongyang also warned Seoul and Washington, who are currently carrying out annual military maneuvers, that the "nuclear-powered carriers and all other strategic assets of the US imperialists are in sight of the Korean People's Army's powerful ultra-precision strike means." The regime's statement comes after the allies began the Key Resolve simulated military exercise on Monday, which will last until March 24, as well as the Foal Eagle drills, which started on March 1 and will conclude by the end of April. The deployment of military assets for this year's maneuvers is the largest to date as Washington is deploying its F-35B fighter aircraft as well as the nuclear-powered aircraft carrier USS Carl Vinson - scheduled to arrive in the Korean peninsula on Wednesday, Efe news reported. Pyongyang, which regularly condemns the non-defensive nature of these maneuvers, on March 6 launched four medium-range ballistic missiles that fell in Japanese waters as its first response after the start of Foal Eagle drills. The start of the installation of the anti-ballistic missile Terminal High Altitude Area Defence (Thaad) system on South Korean soil last week has also increased tensions on the Korean peninsula. The US system, designed to shoot down North Korean missiles, has angered the Kim Jong-un regime and also sparked strong criticism from China, which believes Thaad can interfere with its defence systems.